At a critical point in the development of photography, this book offers an engaging, detailed and far-reaching examination of the key issues that are defining contemporary photographic culture. Photography Reframed addresses the impact of radical technological, social and political change across a diverse set of photographic territories: the ontology of photography; the impact of mass photographic practice; the public display of intimate life; the current state of documentary, and the political possibilities of photographic culture. These lively, accessible essays by some of the best writers in photography together go deep into the most up-to-date frameworks for analysing and understanding photographic culture and shedding light on its histories. Photography Reframed is a vital road map for anyone interested in what photography has been, what it has become, and where it is going. 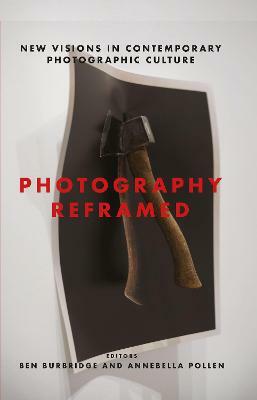 Buy Photography Reframed by Ben Burbridge from Australia's Online Independent Bookstore, Boomerang Books. Ben Burbridge is Senior Lecturer in Art History and Co-Director of the Centre for Photography and Visual Culture at the University of Sussex. He is widely published in the field of photography, art and politics. Curatorial projects include the 2012 Brighton Photo Biennial, Agents of Change: Photography and the Politics of Space and Revelations: Experiments in Photography.Annebella Pollen is Principal Lecturer in the History of Art and Design at the University of Brighton. She is widely published in the field of visual and material culture. She is the author of The Kindred of the Kibbo Kift: Intellectual Barbarians (2015), Mass Photography: Collective Histories of Everyday Life (I.B.Tauris, 2016) and co-editor of Dress History: New Directions in Theory and Practice (2015).